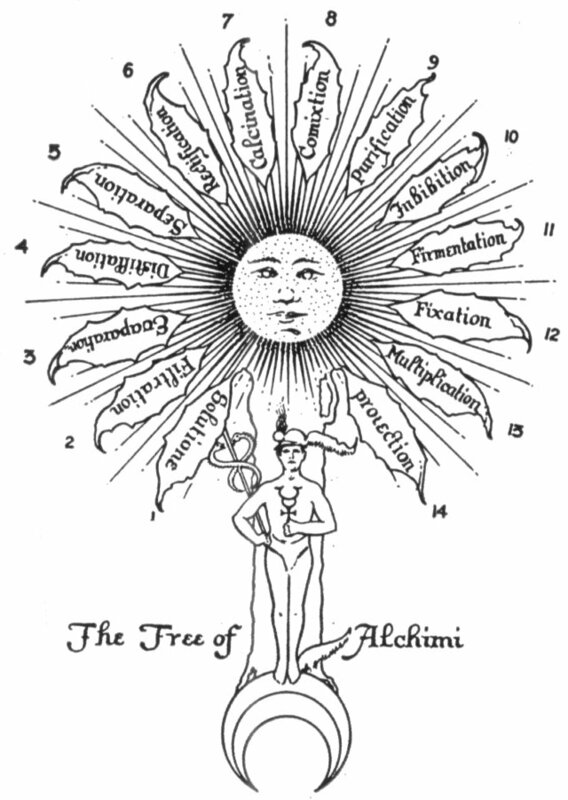 The Theory and Practice of Alchemy - "it is the process of increasing and improving that which already exists"
As the below article discusses, Alchemy is the ancient art of self discovery and purification; what Maslow called Self Actualization. 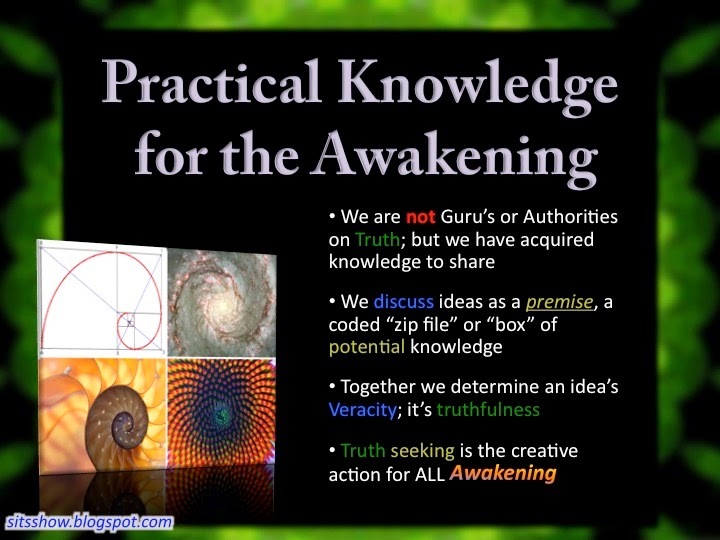 For more on this see the post Self Mastery and Actualization "the Great Work" - Hidden Techniques of the Elite - Alchemy and Freemasonry and Mark Passio's Natural Law Seminar / Natural Law the REAL Law of Attraction. ALCHEMY, the secret art of the land of Khem, is one of the two oldest sciences known to the world. The other is astrology. The beginnings of both extend back into the obscurity of prehistoric times. According to the earliest records extant, alchemy and astrology were considered as divinely revealed to man so that by their aid he might regain his lost estate. According to old legends preserved by the Rabbins, the angel at the gate of Eden instructed Adam in the mysteries of Qabbalah and of alchemy, promising that when the human race had thoroughly mastered the secret wisdom concealed within these inspired arts, the curse of the forbidden fruit would be removed and man might again enter into the Garden of the Lord. As man took upon himself “coats of skins” (physical bodies) at the time of his fall, so these sacred sciences were brought by him into the lower worlds incarnated in dense vehicles, through which their spiritual transcendental natures could no longer manifest themselves. Therefore they were considered as being dead or lost. The earthly body of alchemy is chemistry, for chemists do not realize that half of The Book of Torah is forever concealed behind the veil of Isis (see the Tarot), and that so long as they study only material elements they can at best discover but half of the mystery. Astrology has crystallized into astronomy, whose votaries ridicule the dreams of ancient seers and sages, deriding their symbols as meaningless products of superstition. Nevertheless, the intelligentsia of the modern world can never pass behind the veil which divides the seen from the unseen except in the way appointed–the Mysteries. What is life? What is intelligence? What is force? These are the problems to the solution of which the ancients consecrated their temples of learning. Who shall say that they did not answer those questions? Who would recognize the answers if given? Is it possible that under the symbols of alchemy and astrology lies concealed a wisdom so abstruse that the mind of this race is not qualified to conceive its principles? The Chaldeans, Phœnicians, and Babylonians were familiar with the principles of alchemy, as were many early Oriental races. It was practiced in Greece and Rome; was the master science of the Egyptians. Khem was an ancient name for the land of Egypt; and both the words alchemy andchemistry are a perpetual reminder of the priority of Egypt’s scientific knowledge. According to the fragmentary writings of those early peoples, alchemy was to them no speculative art. They implicitly believed in the multiplication of metals; and in the face of their reiterations both the scholar and the materialist should be more kindly in their consideration of alchemical theorems. Evolutionists trace the unfoldment of the arts and sciences up through the growing intelligence of the prehistoric man, while others, of a transcendental point of view, like to consider them as being direct revelations from God. In all probability, the so-called talking trees were merely strips of wood with tables of letters upon them, by means of which oracles were evoked. At one time books written upon wood were called “talking trees.” The difficulty in deciding the origin of alchemy is directly due to ignoring the lost continent of Atlantis. The Great Arcanum was the most prized of the secrets of the Atlantean priestcraft. When the land of Atlas sank, hierophants of the Fire Mystery brought the formula to Egypt, where it remained for centuries in the possession of the sages and philosophers. It gradually moved into Europe, where its secrets are still preserved intact. THE LEAVES OF HERMES’ SACRED TREE. Redrawn from an original manuscript dated 1577. Solution, the act of passing from a gaseous or solid condition, into one of liquidity. Filtration, the mechanical separation of a liquid from the undissolved particles suspended in it. Evaporation, the changing or converting from a liquid or solid state into a vaporous state with the aid of heat. Distillation, an operation by which a volatile liquid may be separated from substances which it holds in solution. Separation, the operation of disuniting or decomposing substances. Rectification, the process of refining or purifying any substance by repeated distillation. Calcination, the conversion into a powder or calx by the action of heat; expulsion of the volatile substance from a matter. Commixtion, the blending of different ingredients into new compounds or mass. Purification (through putrefaction), disintegration by spontaneous decomposition; decay by artificial means. Inhibition, the process of holding back or restraining. Fermentation, the conversion of organic substances into new compounds in the presence of a ferment. Fixation, the act or process of ceasing to be a fluid and becoming firm; state of being fixed. Multiplication, the act or process of multiplying or increasing in number, the state of being multiplied. Projection, the process of turning the base Metals into gold. Those disagreeing with the legend of Hermes and his Emerald Tablet see in the two hundred angels who descended upon the mountains, as described by the Prophet: Enoch, the first instructors in the alchemical art. Regardless of its originator, it was left to the Egyptian priests to preserve alchemy for the modern world. Egypt, because of the color of its earth, was called “the black empire” and is referred to in the Old Testament as “the land of darkness.” By reason of its possible origin there, alchemy has long been known as “the black art, ” not in the sense of evil but in the sense of that darkness which has always enshrouded its secret processes. During the Middle Ages, alchemy was not only a philosophy and a science but also a religion. Those who rebelled against the religious limitations of their day concealed their philosophic teachings under the allegory of gold-making. In this way they preserved their personal liberty and were ridiculed rather than persecuted. Alchemy is a threefold art, its mystery well symbolized by a triangle. Its symbol is 3 times 3–three elements or processes in three worlds or spheres. The 3 times 3 is part of the mystery of the 33rd degree of Freemasonry, for 33 is 3 times 3, which is 9, the number of esoteric man and the number of emanations from the root of the Divine Tree. It is the number of worlds nourished by the four rivers that pour out of the Divine Mouth as the verbum fiat. Beneath the so-called symbolism of alchemy is concealed a magnificent concept, for this ridiculed and despised craft still preserves intact the triple key to the gates of eternal life. Realizing, therefore, that alchemy is a mystery in three worlds–the divine, the human, and the elemental–it can easily be appreciated why the sages and philosophers created and evolved an intricate allegory to conceal their wisdom. 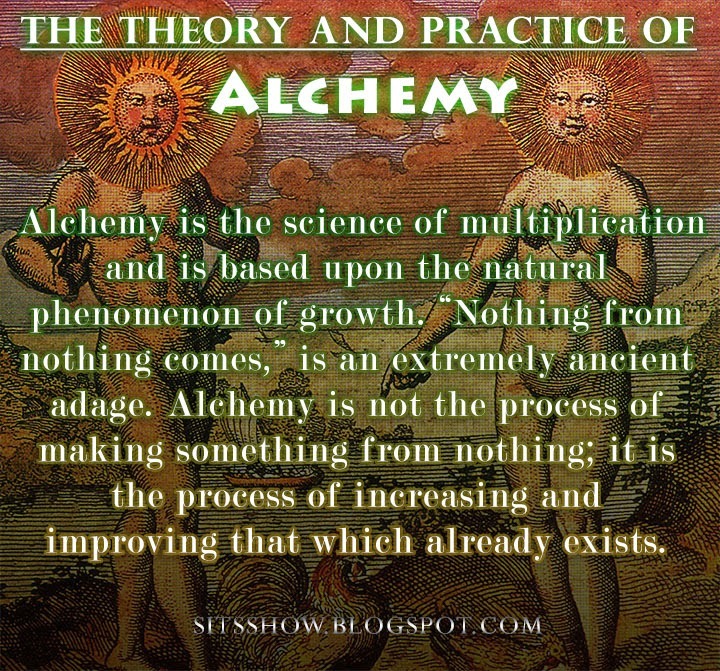 Alchemy is the science of multiplication and is based upon the natural phenomenon of growth. “Nothing from nothing comes,” is an extremely ancient adage. Alchemy is not the process of making something from nothing; it is the process of increasing and improving that which already exists. If a philosopher were to state that a living man could be made from a stone, the unenlightened would probably exclaim, “Impossible!” Thus would they reveal their ignorance, for to the wise it is known that in every stone is the seed of man. A philosopher might declare that a universe could be made out of a man, but the foolish would regard this as an impossibility, not realizing that a man is a seed from which a universe may be brought forth. God is the “within” and the “without” of all things. The Supreme One manifests Himself through growth, which is an urge from within outward, a struggle for expression and manifestation. There is no greater miracle in the growing and multiplication of gold by the alchemist than in a tiny mustard seed producing a bush many thousands of times the size of the seed. If a mustard seed produces a hundred thousand times its own size and weight when planted in an entirely different substance (the earth), why should not the seed of gold be multiplied a hundred thousand times by art when that seed is planted in its earth (the base metals) and nourished artificially by the secret process of alchemy? Alchemy teaches that God is in everything; that He is One Universal Spirit, manifesting through an infinity of forms. God, therefore, is the spiritual seed planted in the dark earth (the material universe). By arc it is possible so to grow and expand this seed that the entire universe of substance is tinctured thereby and becomes like unto the seed–pure gold. In the spiritual nature of man this is termed regeneration; in the material body of the elements it is called transmutation. As it is in the spiritual and material universes, so it is in the intellectual world. Wisdom cannot be imparted to an idiot because the seed of wisdom is not within him, but wisdom may be imparted to an ignorant person, however ignorant he may be, because the seed of wisdom exists in him and can be developed by art and culture. Hence a philosopher is only an ignorant man within whose nature aprojection has taken place. Through art (the process of learning) the whole mass of base metals (the mental body of ignorance) was transmuted into pure gold (wisdom), for it was tinctured with understanding. If, then, through faith and proximity to God the consciousness of man may be transmuted from base animal desires (represented by the masses of the planetary metals) into a pure, golden, and godly consciousness, illumined and redeemed, and the manifesting God within that one increased from a tiny spark to a great and glorious Being; if also the base metals of mental ignorance can, through proper endeavor and training, be transmuted into transcendent genius and wisdom, why is the process in two worlds or spheres of application not equally true in the third? If both the spiritual and mental elements of the universe can be multiplied in their expression, then by the law of analogy the material elements of the universe can also be multiplied, if the necessary process can be ascertained. That which is true in the superior is true in the inferior. If alchemy be a great spiritual fact, then it is also a great material fact. If it can take place in the universe, it can take place in man; if it can take place in man, it can take place in the plants and minerals. If one thing in the universe grows, then everything in the universe grows. If one thing can be multiplied, then all things can be multiplied, “for the superior agrees with the inferior and the inferior agrees with the superior.” But as the way for the redemption of the soul is concealed by the Mysteries, so the secrets for the redemption of the metals are also concealed, that they may not fall into the hands of the profane and thereby become perverted. If any would grow metals, he must first learn the secrets of the metals: he must realize that all metals–like all stones, plants, animals, and universes–grow from seeds, and that these seeds are already in the body of Substance (the womb of the World Virgin); for the seed of man is in the universe before he is born (or grows), and as the seed of the plant exists for all time though the plant live but a part of that time, so the seeds of spiritual gold and material gold are ever present in all things. The metals grow throughout the ages, because life is imparted to them from the sun. They grow imperceptibly, in form like tiny shrubs, for everything grows in some way. Only the methods of growth differ, according to kind and magnitude. By means of this art the seed which is within the soul of a stone may be made to germinate so intensively that in a few moments a diamond is grown from the seed of itself. If the seed of the diamond were not in the marble, granite, and sand, a diamond could not be grown therefrom. But as the seed is within all these things, a diamond may be grown out of any other substance in the universe. In some substances, however, it is easier to perform this miracle because in them these germs have already been long fertilized and are thus more nearly prepared for the vivifying process of the art. Likewise, to teach some men wisdom is easier than to teach others, for some already have a foundation upon which to work, while in others the thinking faculties are entirely dormant. Alchemy, therefore, should be regarded as the art of increasing and bringing into perfect flower with the greatest possible expedition. Nature may accomplish her desired end or, because of the destructiveness exercised by one element over another, she may not; but with the aid of the true art, Nature always accomplishes her end, for this art is not subject either to the wastings of time or to the vandalism of elemental reactions. “2. The creation of homunculi, or living. beings, of which many wonderful but incredible tales are told. “5. The preparation of spiritus mundi, a mystic substance possessing many powers, the principal of which was its capacity of dissolving gold. “6. The extraction of the quintessence or active principle of all substances. In alchemy there are three symbolic substances: mercury, sulphur, and salt. To these was added a fourth mysterious life principle called Azoth. Concerning the first three, Herr von Welling has written: “There are three basic chemical substances which are called by the philosophers salt, sulphur, and mercury, but which are not to be confounded in any way with the crude salt, sulphur, and mercury taken from the earth or secured from the apothecary. Salt, sulphur, and mercury each has a triune nature, for each of these substances contains, in reality, also the other two substances, according to the secret arcanum of the wise. The body of salt is, therefore, threefold, namely salt, sulphur, and mercury; but in the body of salt one of the three (salt) predominates. Mercury is likewise composed of salt, sulphur, and mercury with the latter element predominating. Sulphur, similarly, is actually salt, sulphur, and mercury, with sulphur predominating. These nine divisions–3 times 3, plus Azoth (the mysterious universal life force), equals 10, the sacred decad of Pythagoras. Concerning the nature of Azoth there is much controversy. Some view it as the invisible, eternal fire; others as electricity; still others as magnetism. Transcendentalism refer to it as the astral light. The main point, however, is proved: the alchemical philosophers used the symbols of salt, sulphur, and mercury to represent not only chemicals but the spiritual and invisible principles of God, man, and the universe. The three substances (salt, sulphur, and mercury) existing in four worlds, as shown in the table, sum up to the sacred number 12. As these 12 are the foundations of the Great Work, they are called in Revelation the twelve foundation stones of the sacred city. In line with the same idea Pythagoras asserted that the dodecahedron, or twelve-faced symmetrical geometric solid, was the foundation of the universe. May there not be a relation also between this mysterious 3 times 4 and the four parties of three which in the legend of the third degree of Freemasonry go forth to the four angles of the cherubim, the composite creature of four parts? 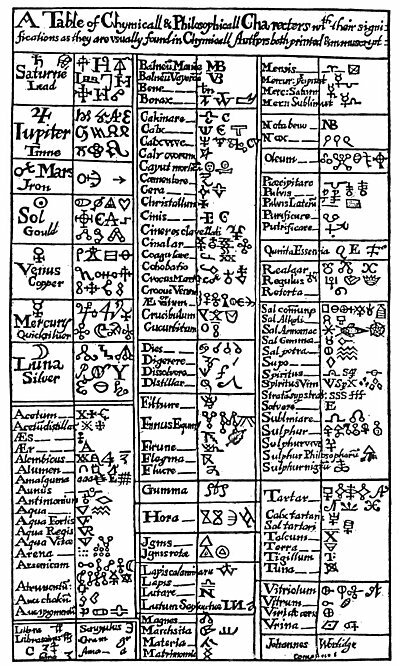 A TABLE OF MEDIÆVAL ALCHEMICAL SYMBOLS. From Valentine’s The Last Will and Testament. Hermetists used the curious symbols shown in this rare table to represent various chemical elements and alchemical processes. 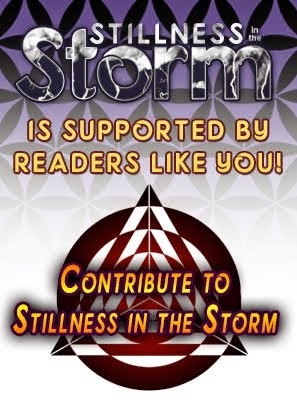 The full meaning of these strange characters has never been revealed, the characters concealing effectually within their own forms the occult secrets regarding the spiritual nature of the metals and elements which they represent. In their allegories the alchemists also wed human, animal, and plant emblems; sometimes weird composite figures, such as the dragon, the winged serpent, the unicorn, and the phœnix. In almost every case they symbolized gold as a king with a crown on his head and often with a scepter in his hand. Sometimes they depicted him with the ace of the solar disc surrounded by rays. Silver was personified as a woman who they called the queen. She wore no crown but often stood upon a lunar crescent: much after the fashion of the Madonna. Mercury was typified as a youth with wings, often with two heads, carrying serpents or sometimes the caduceus. Lead they symbolized by an old man with a scythe in his hand; iron by a soldier dressed in armor. To aqua fortis was given the curious name “the ostrich’s stomach,” and to the attainment of the “Great Work” they assigned the symbol of the phœnix sitting upon a nest of fire. The union of elements they symbolized by a marriage, the Process of putrefaction by a skull, antimony by a dragon. One more table should prove of interest to Masonic scholars: one showing the relationship existing between the three substances, salt, sulphur, and mercury, and certain symbols with which Masons are familiar. This table also has an alternative rendering, based on the interblending of philosophic principles, which are difficult–if not impossible–to separate into chronological order. In alchemy is found again the perpetuation of the Universal Mystery; for as surely as Jesus died upon the cross, Hiram (CHiram) at the west gate of the Temple, Orpheus on the banks of the river Hebros, Christna on the banks of the Ganges, and Osiris in the coffin prepared by Typhon, so in alchemy, unless the elements first die, the Great Work cannot be achieved. The stages of the alchemical processes can be traced in the lives and activities of nearly all the world Saviors and teachers, and also among the mythologies of several nations. It is said in the Bible that “except a man be born again, he cannot see the kingdom of God.” In alchemy it is declared that without putrefaction theGreat Work cannot be accomplished. What is it that dies on the cross, is buried in the tomb of the Mysteries, and that dies also in the retort and becomes black with putrefaction? Also, what is it that does this same thing in the nature of man, that he may rise again, phœnix-like, from his own ashes (caput mortuum)? The solution in the alchemical retort, if digested a certain length of time, will turn into a red elixir, which is called the universal medicine. It resembles a fiery water and is luminous in the dark. During the process of digestion it passes through many colors which has given rise to its being called thepeacock because of its iridescence during one of the periods of its digestion. If the augmentations of its power be carried too far, the test tube containing the substance will explode and vanish as dust. This commonly occurs and is the greatest danger involved in the preparation of the medicine for men and metals. If developed too far, it will also seep through the glass, for there is no physical container sufficiently strong to hold it, The reason for this is that it is no longer a substance but a divine essence partaking of the interpenetrative power of Divinity. When it is properly developed, this universal solvent in liquid form will dissolve into itself all other metals. In this high state the universal salt is a liquid fire. This salt dissolved with the proper amount of any metal and run through the different stages of digestion and rotations; of augmentations will eventually become a medicine for the transmuting of inferior metals. In classifying the processes through which the chemical elements must pass before the Hermetic medicine is produced, lack of uniformity in terminology is evidenced, for in The True Way of Natureseven stages are given, while in the Dictionnaire Mytho-Hermétique twelve are noted. These twelve are linked with the signs of the zodiac in a manner worthy of consideration. This arrangement opens an interesting field of speculation which may be of great service if intelligently carried out. These twelve “steps” leading up to the accomplishment of the Magnum Opus are a reminder of the twelve degrees of the ancient Rosicrucian Mysteries. To a certain degree, Rosicrucianism was chemistry theologized and alchemy philosophized. According to the Mysteries, man was redeemed as the result of his passage in rotation through the twelve mansions of the heavens. 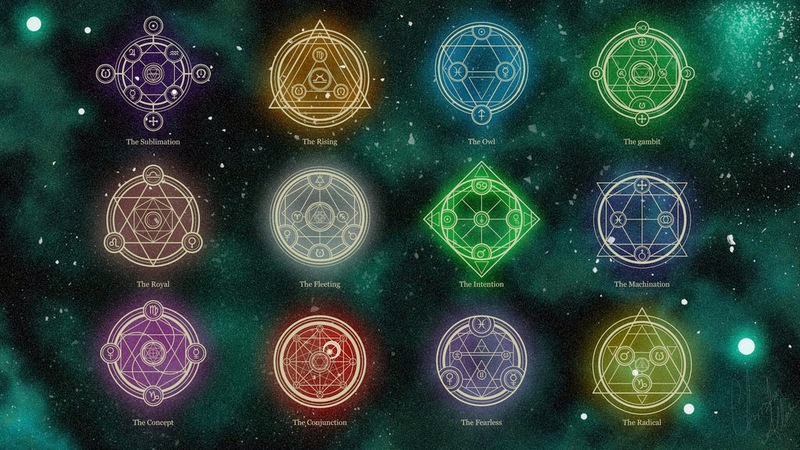 The twelve processes by means of which the “secret essence” may be discovered remind the student forcibly of the twelve Fellow Craftsmen who are sent forth in search of the murdered Builder of the Universe, the Universal Mercury. A tiny particle of the Philosopher’s Scone, if cast upon the surface of water, will, according to an appendix to the work on the universal salt by Herr von Welling, immediately begin a process of recapitulating in miniature the history of the universe, for instantly the tincture–like the Spirits of Elohim–moves upon the face of the waters. A miniature universe is formed which the philosophers have affirmed actually rises out of the water and floats in the air, where it passes through all the stages of cosmic unfoldment and finally disintegrates into dust again. Not only is it possible to prepare a medicine for metals; it is also possible to prepare a tincture for minerals by means of which pieces of granite and marble can be turned into precious stones; also stones of inferior quality may be improved. As one of the great alchemists fittingly observed, man’s quest for gold is often his undoing, for he mistakes the alchemical processes, believing them to be purely material. He does not realize that the Philosopher’s Gold, the Philosopher’s Stone, and the Philosopher’s Medicine exist in each of the four worlds and that the consummation of the experiment cannot be realized until it is successfully carried on in four worlds simultaneously according to one formula. Furthermore, one of the constituents of the alchemical formula exists only within the nature of man himself, without which his chemicals will not combine, and though he spend his life and fortune in chemical experimentation, he will not produce the desired end. The paramount reason why the material scientist is incapable of duplicating the achievements of the mediæval alchemists–although he follow every step carefully and accurately–is that the subtle element which comes out of the nature of the illuminated and regenerated alchemical philosopher is missing in his experimentation. In considering the formulæ on the following pages, it must be recognized that the experiments cannot be successfully conducted unless the one who performs them be himself a Magus. If two persons, one an initiate and the other unilluminated in the supreme art, were to set to work, side by side, using the same vessels, the same substances, and exactly the same modus operandi, the initiate would produce his “gold” and the uninitiated would not. Unless the greater alchemy has first taken place within the soul of man, he cannot perform the lesser alchemy in the retort. This is an invariable rule, although it is cunningly hidden in the allegories and emblems of Hermetic philosophy. Unless a man be “born again” he cannot accomplish the Great Work, and if the student of alchemical formulæ will remember this, it will save him much sorrow and disappointment. To speak of that part of the mystery which is concerned with the secret life principle within the actual nature of man, is forbidden, for it is decreed by the Masters of the art that each shall discover that for himself and on this subject it is unlawful to speak at greater length.